Steam fresh mussels in a mixture of Dijon mustard, wine, and clam juice and mix with dried chorizo and parsley for a fun party snack or appetizer. Per Serving: 603 calories; 24g fat; 23.8g carbohydrates; 60g protein; 152mg cholesterol; 1378mg sodium. This was only my second time making mussels and I am absolutely obsessed with this Spanish-inspired version. The spicy chorizo pairs perfectly with this dish. It's great for a date night or other special occasion. It was also surprisingly easy to make. Love! These Spanish style mussels were a huge hit at my party. 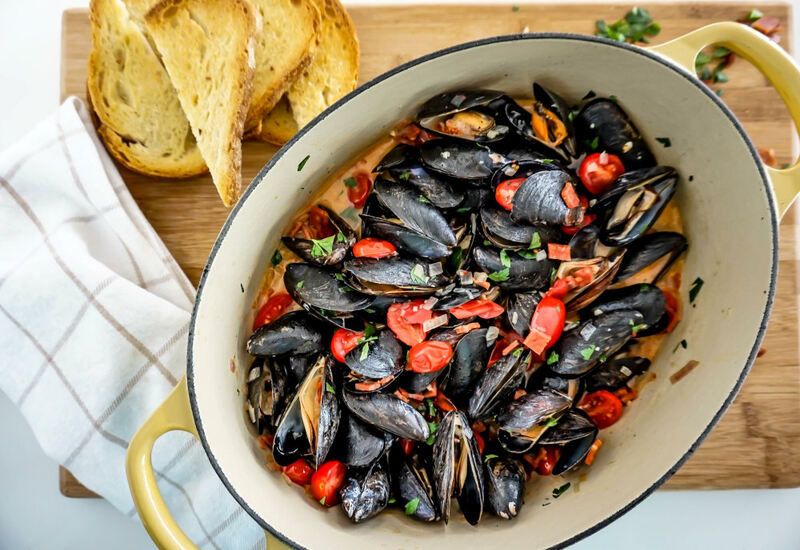 People that had never had mussels before tried it and now they're obsessed. This was first my time using Dijon mustard with it, but I love the flavor it added. Delicious. Great easy meal, I left out the tomatoes as I watching my carb intake and they would add 6.6g of carbs and 4.75 of sugar, was still great. I made it a second time and added a few shrimp sautéd them with the chorizo giving them a nice flavor.